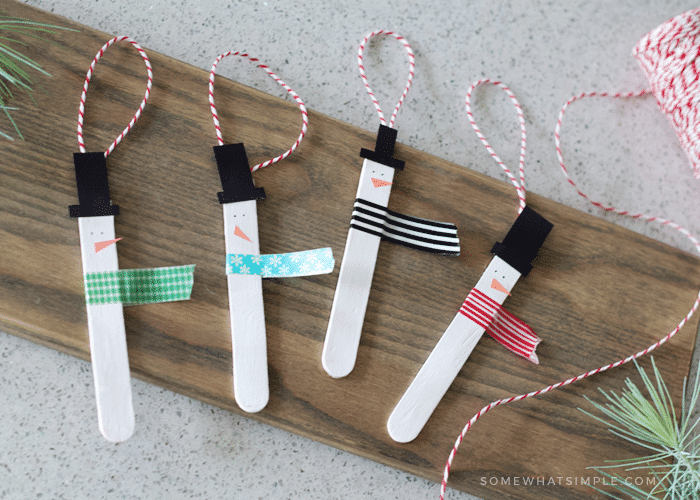 Homemade popsicle stick ornaments are perfect for hanging on the tree, fridge, or even to give as a gift! 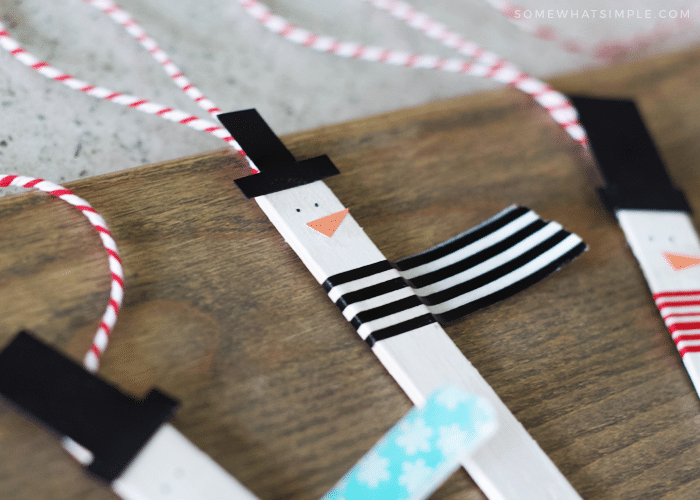 This cute popsicle stick snowman ornament is a simple craft project to do with your kids this holiday season. One of my favorite things about Christmas is putting on some Christmas music and decorating the tree as a family. It’s so fun to look through the ornaments and share stories and the meanings behind each one. 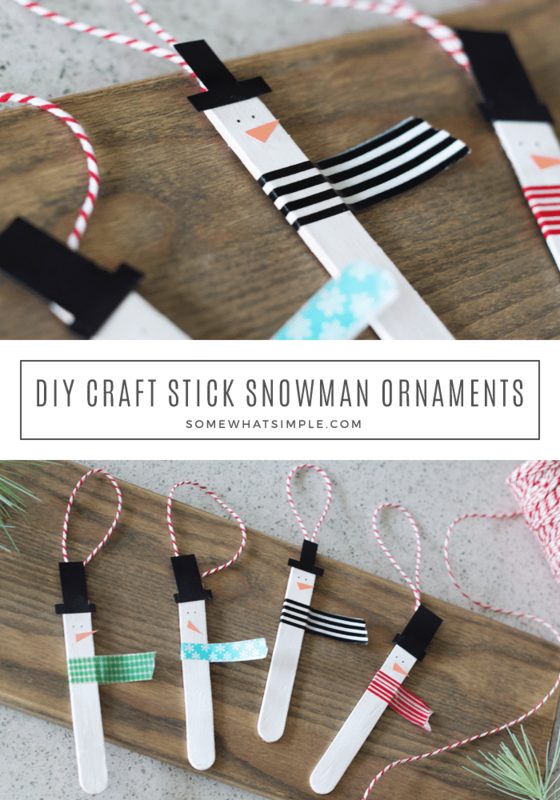 This homemade popsicle stick snowman ornament would be perfect for the kiddos to make as a family keepsake, to give as a gift to grandma & grandpa, or even to make at a holiday class party. 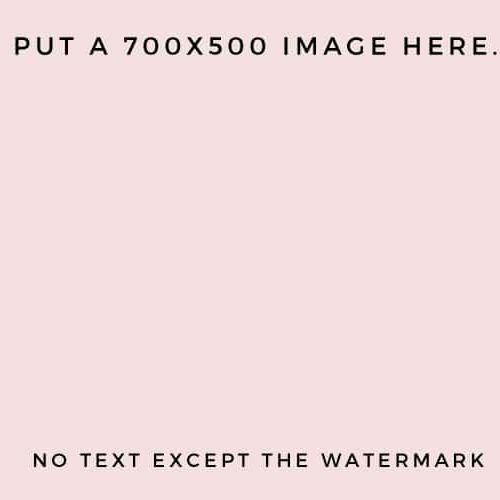 (Right now I’m using one as a bookmark!) 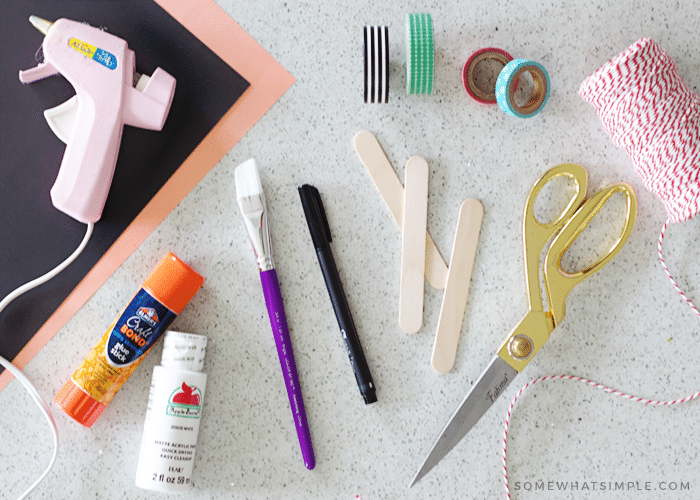 These are super simple, they require only a few basic craft supplies, and the kids can decorate them to be as unique as they’d like! Paint each popsicle stick white and let it dry. Grab your cardstock and cut out a black hat and an orange triangle for the nose. Using your glue stick, glue the hat to the top of the popsicle stick and the nose to the middle of the face. Draw 2 eyes with a black marker. Add a strip of washi tape for the scarf. Using your hot glue, attach a loop of twine to the back of the snowman for hanging. 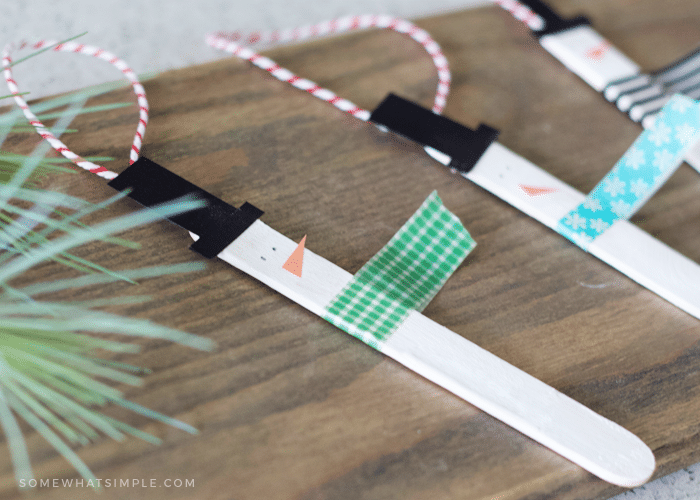 This popsicle stick snowman ornament looks so cute hanging up on the tree! It would also be cute to attach to a package as a fun, little gift tag embellishment. So grab the kids, some popsicle sticks, and get crafty! Wishing you and yours a very, merry Christmas! 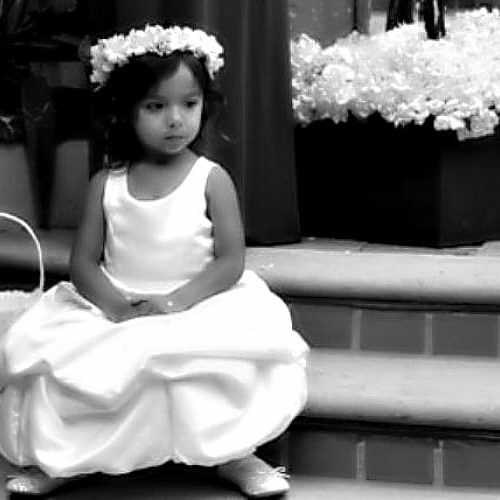 Finding A Cure for Cystic Fibrosis – Let’s Do This!